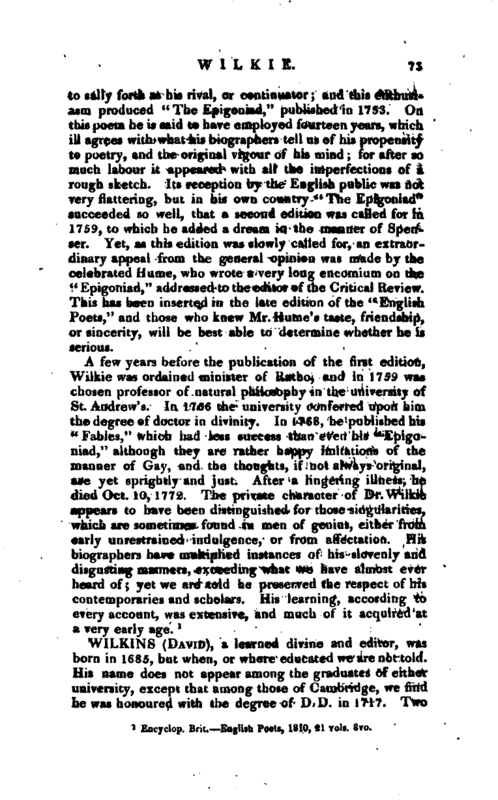 , a learned divine and editor, was born in 1685, but when, or where educated we are not told. His name does not appear among the graduates of either university, except that among those of Cambridge, we find he was honoured with the degree of D.D. in 1717. Two | years before this, he was appointed by archbishop Wake te succeed Dr. Benjamin Abbot, as keeper of the archiepiscopal library at Lambeth and in three years drew up a very curious catalogue of all the Mss. and printed books in that valuable collection. As a reward for his industry and learning, archbishop Wake collated him to the rectory of Mongham-Parva, in Kent, in April 1716, to that of Great Chart in 1719, and to the rectory of Hadleigh in the same year. 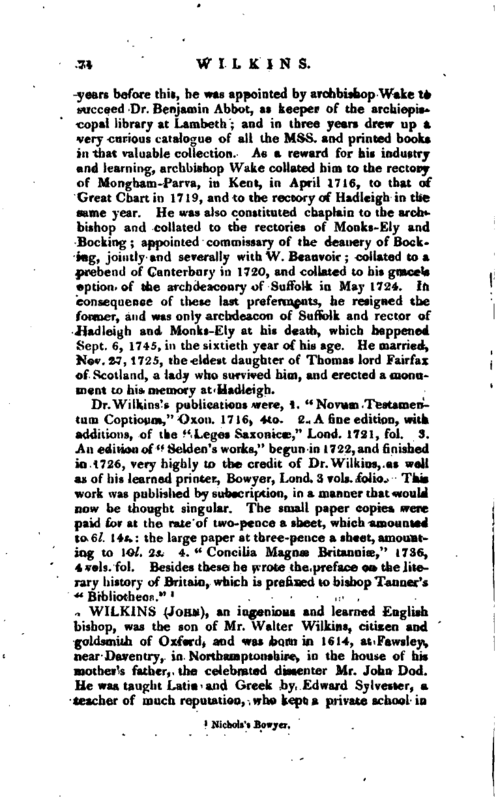 He was also constituted chaplain to the archbishop and collated to the rectories of Monks-Ely and Bocking; appointed commissary of the deanery of Bocking, jointly and severally with W. Beauvoir; collated to a prebend of Canterbury in 1720, and collated to his grace’s option of the archdeaconry of Suffolk in May 1724. In consequence of these last preferments, he resigned the former, and was only archdeacon of Suffolk and rector of Hadleigh and Monks-Ely at his death, which happened 8ept. 6, 1745, in the sixtieth year of his age. He married, Nov. 27, 1725, the eldest daughter of Thomas lard Fairfax of Scotland, a lady who survived him, and erected a monument to his memory at Hadleigh.